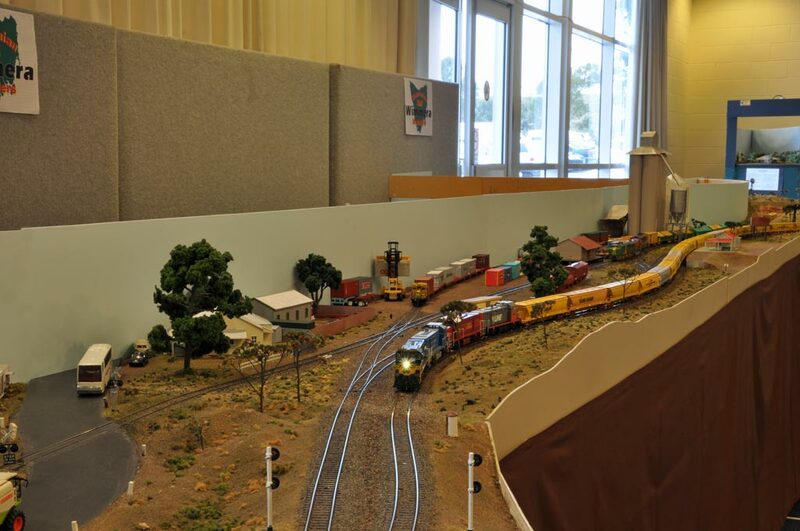 This layout depicts the remaining railway infrastructure of a small town in the wheat belt district of Western Victoria, along the Melbourne to Adelaide main line, during the early 1990s - the final years of broad gauge interstate operations by Australian National and VLine. 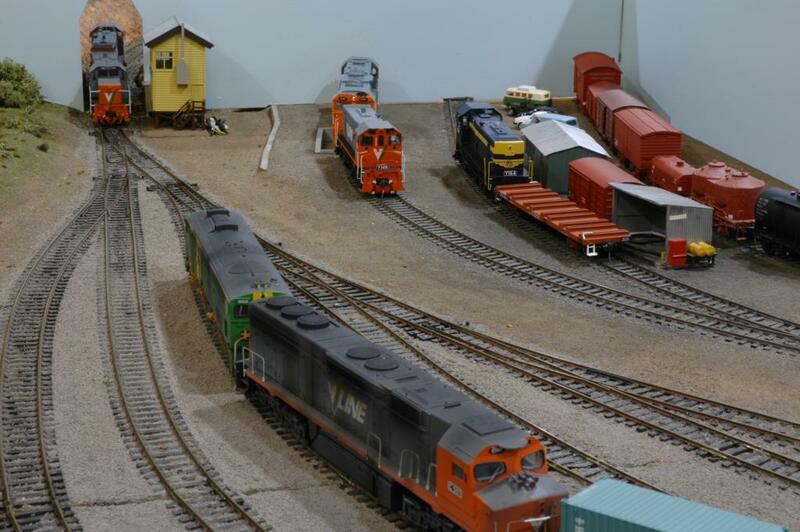 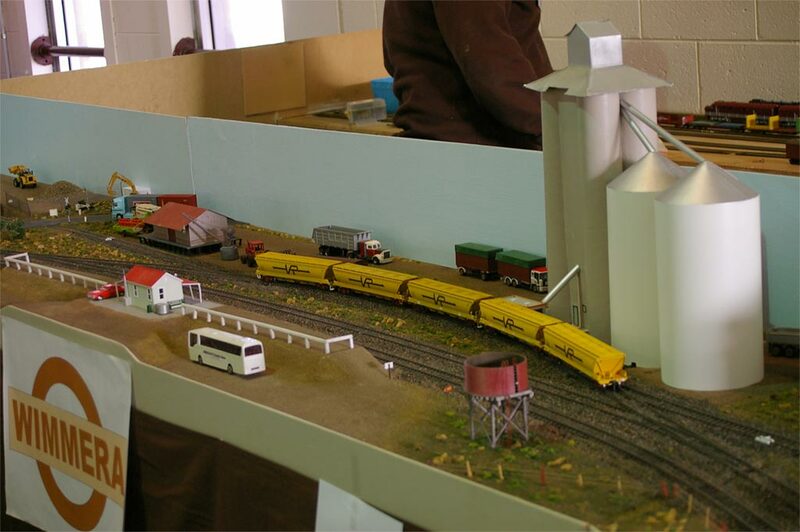 A CTC controlled crossing loop and bulk grain silo typical of the region are the major features of the layout. 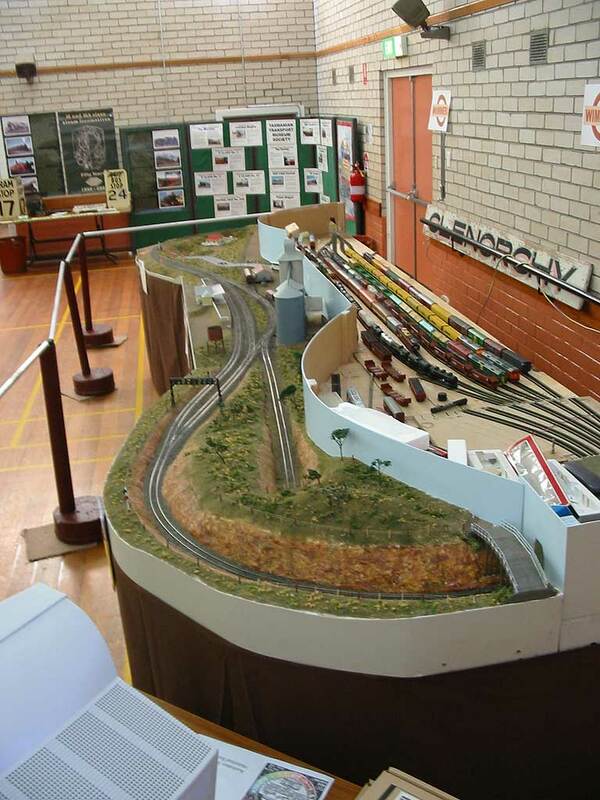 Although not planned at the time, the track arrangement is similar to Lubeck Loop, west of Stawell. 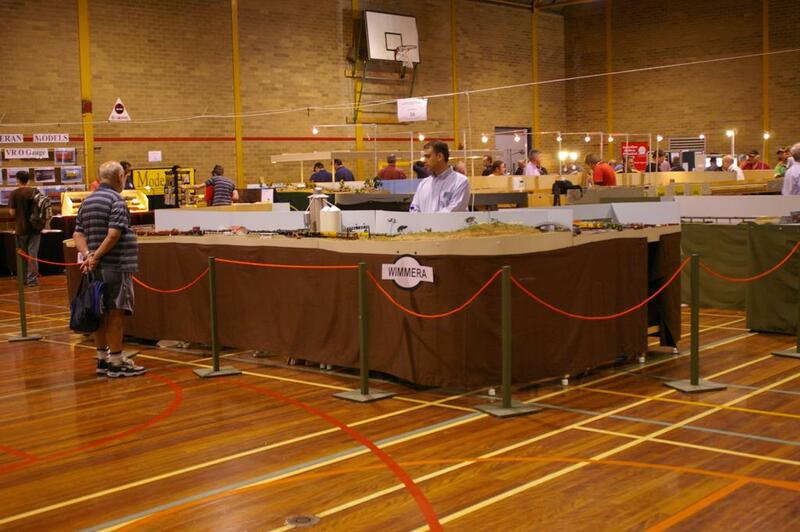 From the outset, the layout was designed to be a bit different from the usual exhibition layouts. 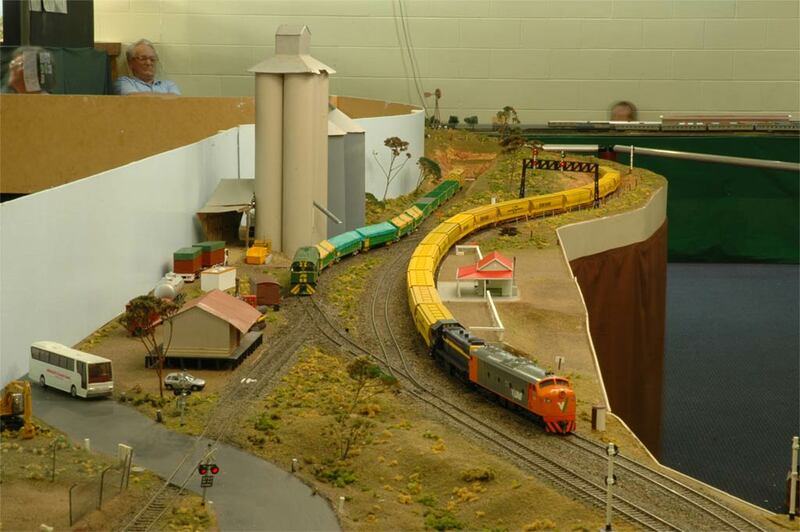 To this end, a single track mainline was chosen, sweeping curves were used where appropriate rather than straight track, major landforms were deliberately constructed above and below rail level, and the scenic work was restrained to try and capture the empty feeling of the region. 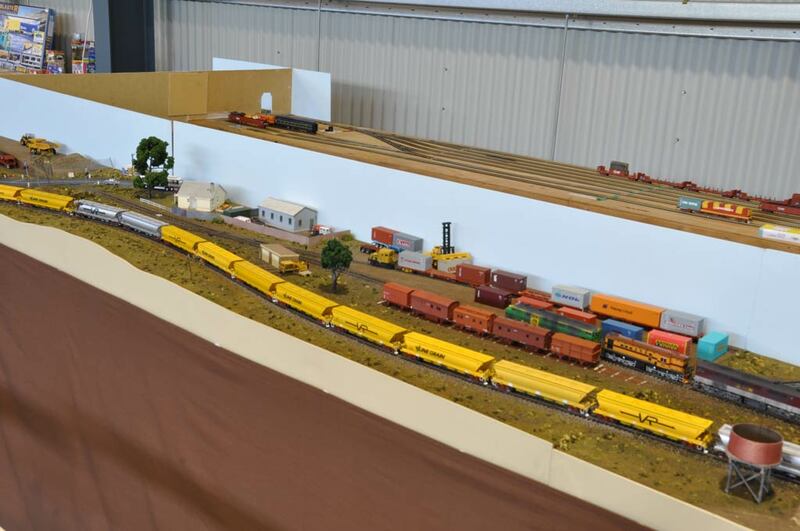 The cutting area was inspired by photographs of trains being banked out of Stawell yard, whilst the embankment section was inspired by videos of trains rounding the curves at Callington in South Australia. 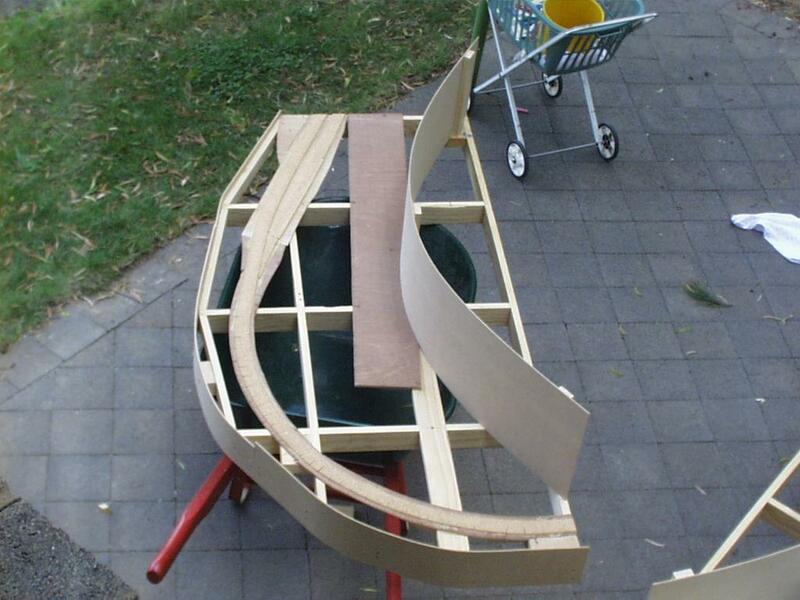 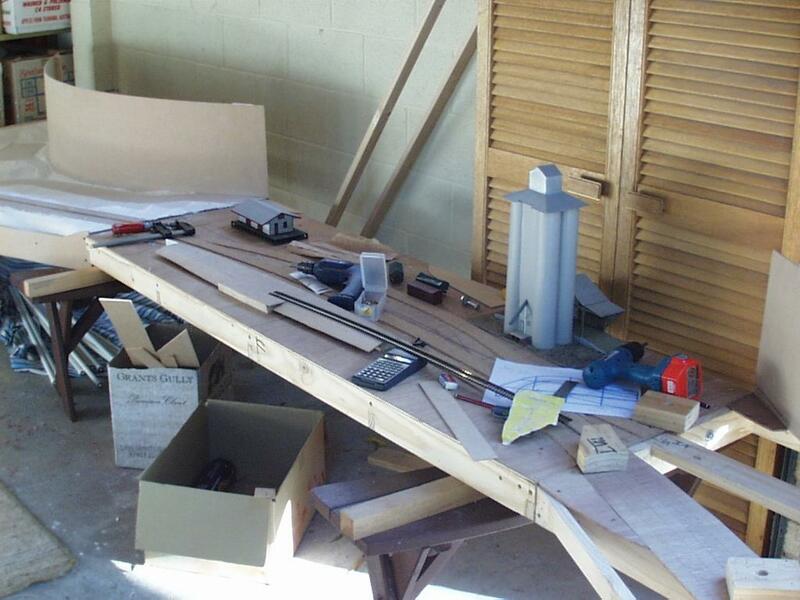 Generally conventional construction techniques have been used, with the overarching desire to keep the weight of each board down to a manageable level for one person. 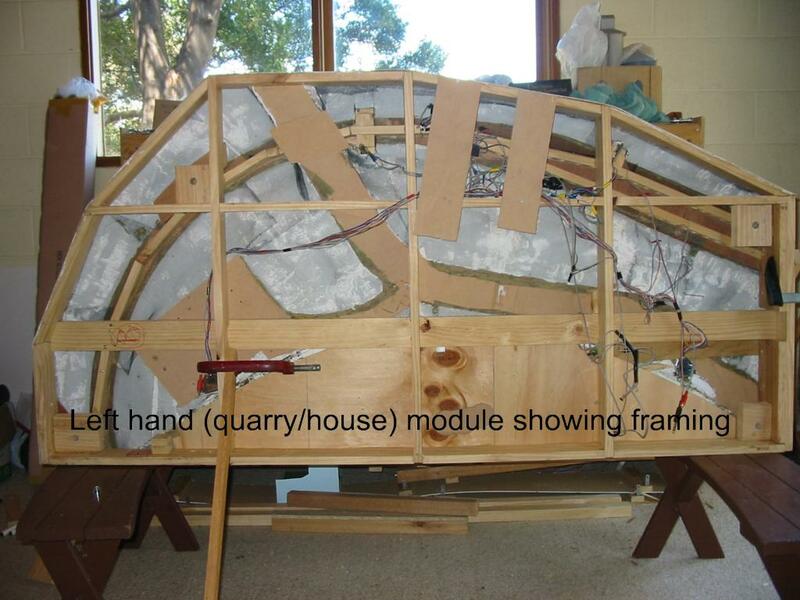 All modules of the layout are built over structural pine framing, with the covering dependent on the module and its landforms - plaster bandage covers aluminium fly-screen wire for the embankment module, carved polystyrene foam for the cutting module, and flat plywood base for the remainder. 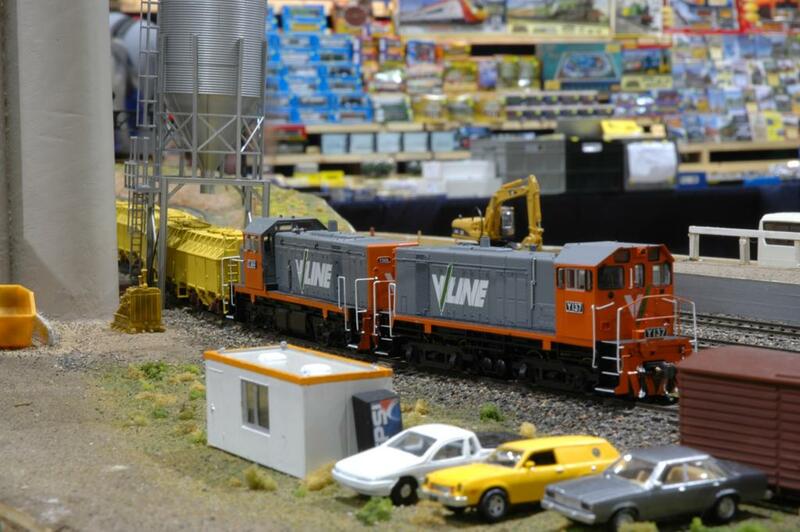 Scenic materials are from the Woodland Scenics range and from a variety of locally obtained natural sources. 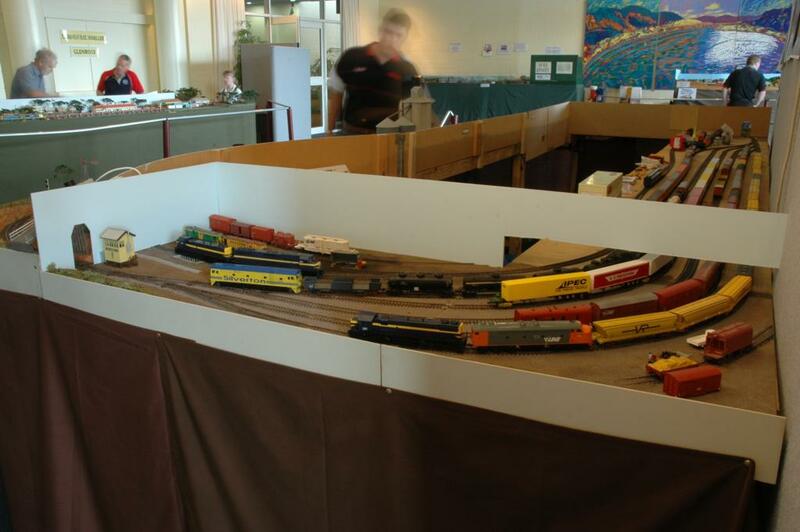 Construction of the layout started in December 2000, and three months later was first exhibited, in a reasonably complete state. 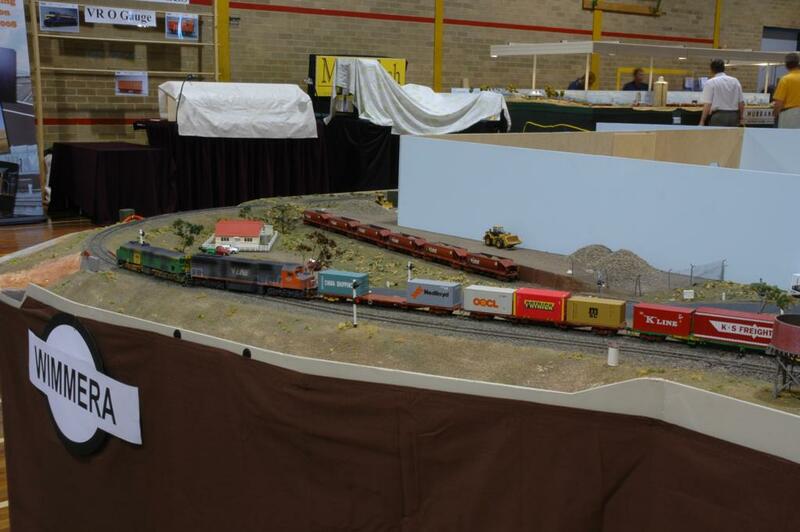 It has since appeared at the Don River Railway (2001), at Railex Evandale (2002), BRMA Model Train Show (Hobart, 2006, 2008, 2013 & 2014) and at the Hobart Model Makers and Collectors Exhibition (2001, 2003, 2005, 2007 & 2010). 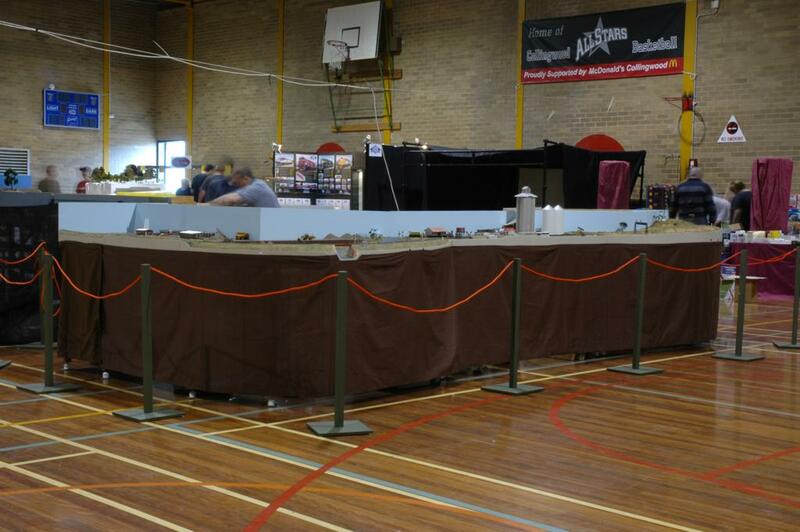 Over the Easter 2008 period, the layout was exhibited at the “Collingwood” exhibition in Melbourne where it drew many favourable comments. 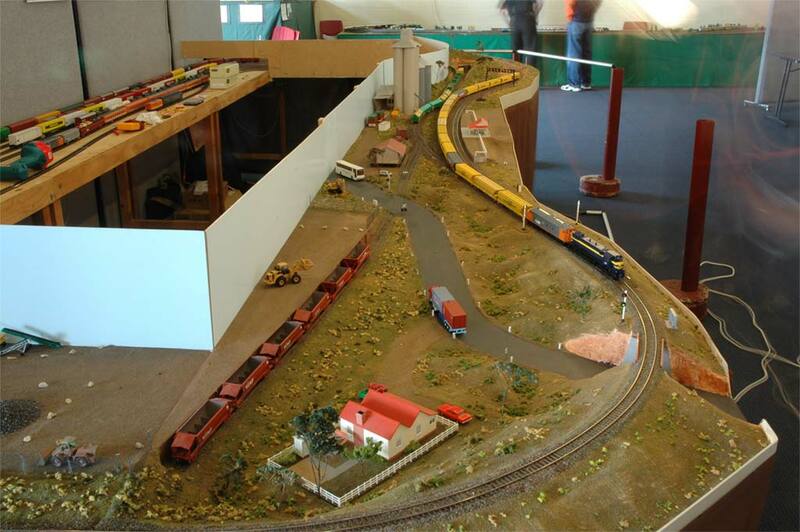 The design of the layout is continually evolving, with the addition of the quarry siding, working signals, replacement of the fiddle yard traverser with more conventional points and the addition of a centre operating well (and consequent scenic changes) being some of the major alterations since the layout was first exhibited. 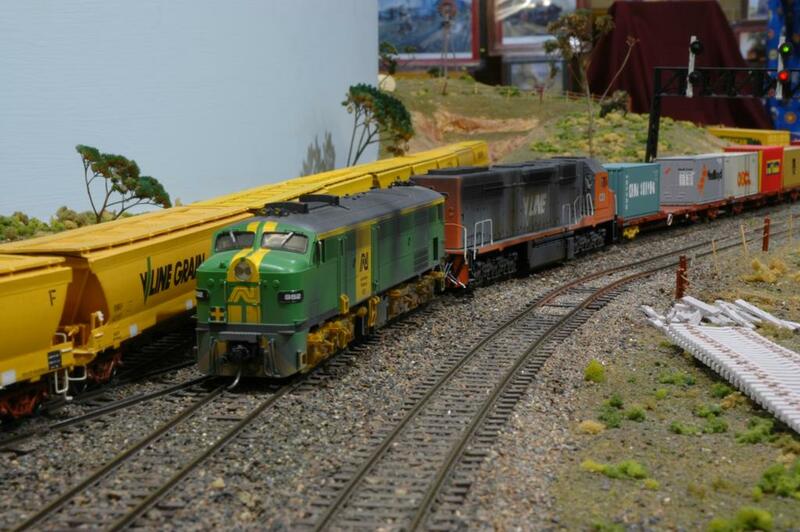 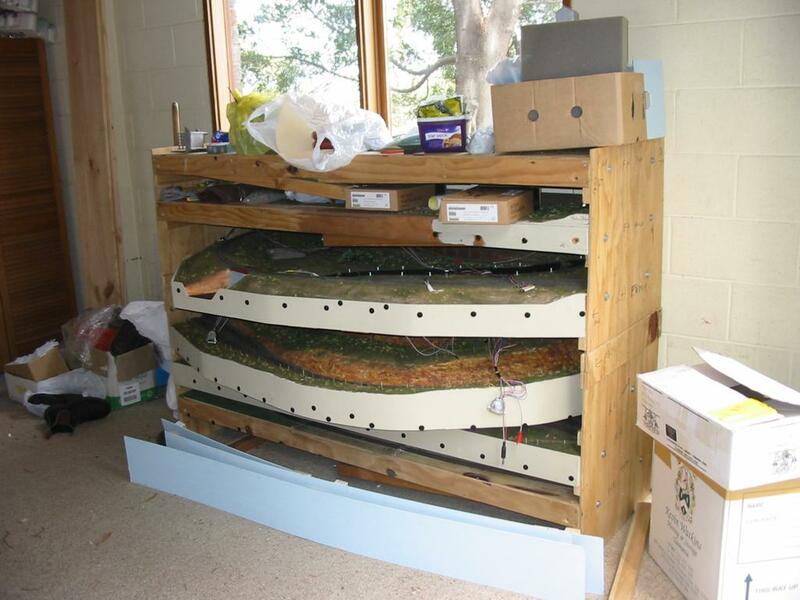 In mid 2008, Digitrax brand DCC equipment was fitted to the layout and some of the wiring modified to take advantage of this. 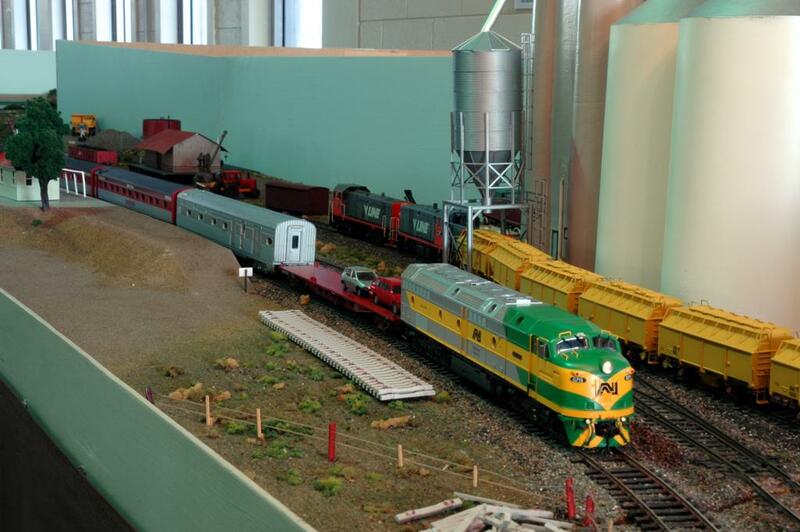 For the 2010 exhibition, a 1.8m extension was added, giving more scenic area and extra room in the station area.